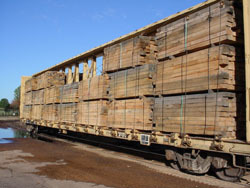 Garnett Wood is not just the leader in manufacturing specialty wood products, we extend our services above and beyond by transporting our products all over the nation. Our trucking fleet can deliver crane mats or pipeline skids to you. 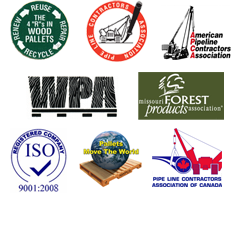 We mean it when we say we are a full service wood products company! 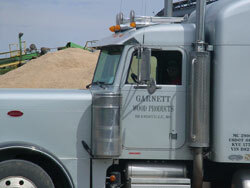 Our transportation team specializes in transportation of wood fiber and wood pallets. If needed, we can arrange to have your products shipped by train. We don’t stop and making quality products, we make sure you get what you need on time.